If your horse has a sore or weak back or is recovering from an injury, you may be wondering what to do to help him build strength, overcome soreness and develop a well-defined topline. In this article, we share ideas for exercises and stretches to help your horse recover from injury and/or build back muscle. We aim to cover both ground exercises for horses to build muscle and exercises for horses with sore backs. Read on to learn more. 1 What Kinds Of Stretches And Exercises Help? What Kinds Of Stretches And Exercises Help? A horse can suffer from a musculoskeletal injury and/or pain from head to tail (all along the neck and backbone) and through the ribs and sternum. Recovery from back problems can be quite challenging and time consuming, but with consistent mobilization exercises, stretching and physical therapy, the outcome of back problems can be positive. For some horses, active exercise, including hydrotherapy is key. For others, stretches involving the mid-back and/or the neck make all the difference in the world. The type of rehabilitation you use with your horse is dependent upon the diagnosis and the advice of your vet. Before you begin any treatment or exercise, it is important to get a thorough evaluation. Have your vet perform a complete clinical examination to pinpoint your horse’s problem and provide a proper diagnosis. 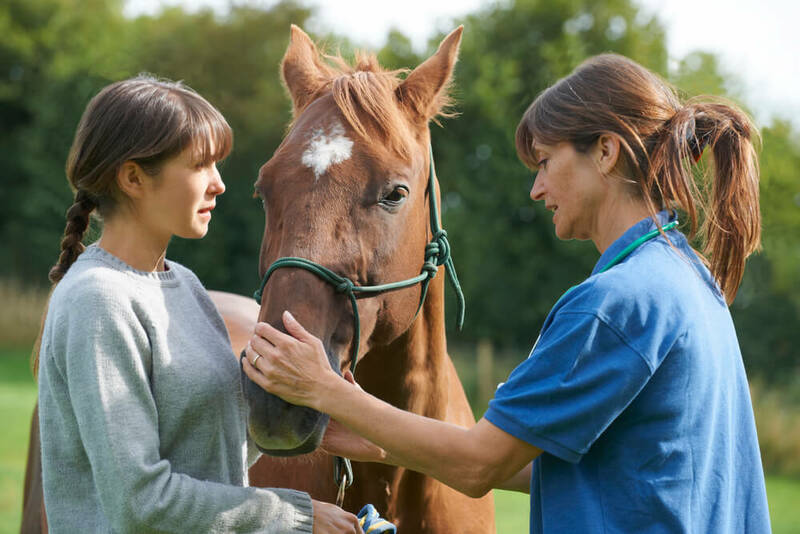 When you have a firm grasp of the situation, you can work with your vet to develop a rehabilitation program to help restore your horse to normal motion. Your rehabilitation routine should include mobilization techniques for pre-warm-up, warm-up and strengthening. Before you begin, you may wish to warm up your horse’s back with warmed blankets or hot packs. If the weather is cold, be sure to keep the back covered with a warm blanket or rug throughout your horse’s workout. A simple exercise routine known as the “carrot stretch” can help limber up your horse’s neck and mid-back after a time of inactivity. Performing carrot stretches every day helps improve your horse’s core strength and flexibility and enhances vertebral range of motion. Refer to this PDF guide from the University of Tennessee for more information. When you have completed the carrot stretch routine, begin quiet, gentle walking exercises back-and-forth, in large circles and figure-eight patterns. When your horse is thoroughly warmed up, you can move on to more challenging exercises. Lunging with side-reins is a good practice that warms your horse’s muscles and allows you to guide him to move in a way that supports recovery and strengthening. 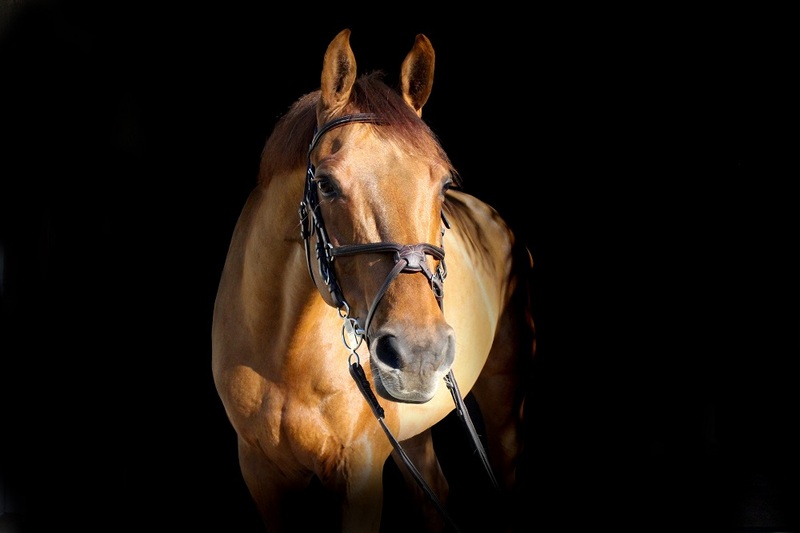 When your horse is thoroughly warmed up and in his stride, try walking or trotting over poles. This helps encourage better muscles function in the hips and hind end. It is also beneficial to proprioception. Vary footing and slopes while exercising or riding. Walking uphill strengthens abdominal muscles. Walking downhill can be beneficial for horses suffering from sacroiliac joint disease in that it helps loosen the muscles surrounding the joint and may help relieve pain and stiffness. Walking in deep footing, such as sand, causes a horse to lift its hind feet higher, which has a strengthening effect. Avoid firm footing, such as pavement, because it is jarring and can be damaging to horses suffering from injury or chronic conditions involving joints and bones. If your horse experiences pain in the 18th (thoracic) vertebra, allow a lot of free movement in warm up. Allow the horse to move in large, open circles. Don’t use a surcingle because it may irritate soreness in the muscles and ligaments along the sides of the backbone. Horses suffering from lower back pain should have ample time to warm up at the walk (at least twenty minutes) before moving on to the trot. Interestingly, some horses are more comfortable cantering than trotting because cantering does not cause twisting of the spine. This is also true of horses suffering from sacroiliac, pelvic or lumbosacral pain. When this is the case, it may be better to move from the walk to the canter and then slow down to the trot. When working with a horse who experiences neck, back or hip pain, always avoid working in tight circles and patterns. Instead, move in large loops and figure-eights. Horses with pelvic pain can benefit from working in concentric circles. Start in a large circle and work inwards to a small circle. Repeat this exercise twice going in opposite directions to work both sides equally. If your horse is having problems with stiffness in the ankles, hocks, stifles and/or hips, your vet may recommend that he wear weighted ankle or ice boots during pre-warm-up and while warming up. In addition to increasing strength and flexibility, this helps improve your horse’s proprioception, which is the sense of where limbs are in relation to the body. This makes your horse more sure-footed. Your vet may also refer you to a veterinary physical therapist for equine massage therapy. According to the journal of the American Veterinarian, equine massage is an excellent tool for providing relaxation and pain relief. Massage therapy encourages good circulation and helps locate the nexus of muscles spasms. Transcutaneous electrical nerve stimulator (TENS) electrotherapy stimulates nerves and helps decrease pain. Shock wave therapy is helpful in treating pain trigger points and reducing muscle spasms. Therapeutic ultrasound also stimulates pain trigger points while improving blood circulation and relaxing muscles. Wrapping sore joints with kinesiotape provides support for muscles and ligaments. Good wrapping can both strengthen and relax damaged joints, muscles, tendons and ligaments while providing relief from inflammation. Swimming, using a water treadmill and engaging in other forms of hydrotherapy can help a horse build muscle strength without weight bearing. 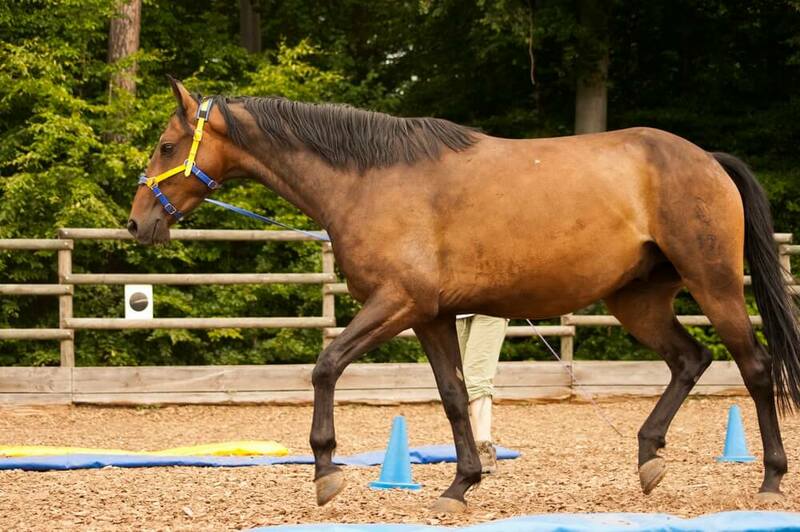 This can be very helpful for horses who have been injured or have just undergone surgery. Your vet may recommend cold therapy with anhydrous nitrogen to relax and stimulate sore muscles. Laser therapy can be used as a way of stimulating pain trigger points to facilitate healing. Magnetic therapy may be helpful in supporting blood vessel healing. Before you do anything, be sure your tack is properly fitted. Very often a poorly fitting saddle is the cause of back pain in horses. If you overlook this, no amount of exercise, stretching or therapy will help. No matter what you may believe is wrong with your horse, it is of the utmost importance that you get a proper diagnosis from your vet and work closely with him or her in designing a rehabilitation and strengthening program for your horse. Don’t try to do this sort of thing entirely on your own because missteps could cause more and different damage.